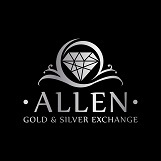 Honesty – Integrity- Community Involvement – Experience- Knowledge- Transparency At Allen Gold & Silver Exchange (AGSE), in our private office setting, our buyers will carefully examine each piece you bring in and explain in great detail how to maximize your return. In most instances, after insuring you are 100% comfortable with the process, that maximum return will be in the form of our immediate cash offer. In our network we have over 100 years of combined buying experience. Todd Bales, who leads our team at AGSE, is a Gemologist with over 30 years of buying experience and is a native of the Dallas area. AGSE is committed to giving back to the community, is a member of the Allen/Fairview Chamber of Commerce, supports the Allen Community Outreach (ACO) and other charitable organizations. Bring us any gold, silver or platinum item, in any condition, and diamond, no diamond is too small or too large, and any fine Swiss watch for a free consultation and immediate cash offer. BRING YOUR JEWELRY LEAVE WITH CASH!